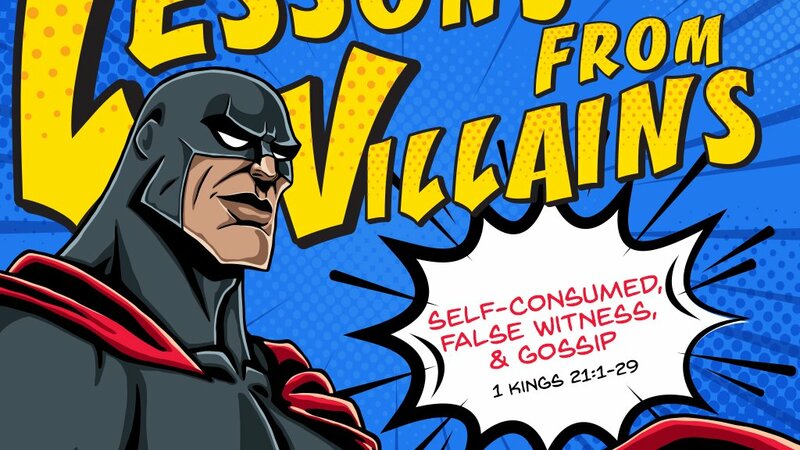 Lessons from Villains: Self-consumed 1 Kings 21:1-29 I. Selfishness leads to other sins to avoid; 21:1-16. Ahab desires to buy Naboth’s vineyard, a property located close to the palace in Jezreel. He selfishly wants to build a vegetable garden close to the palace. Naboth is theologically motivated, not financially motivated. His God was not money but Yahweh. Naboth knew the Old Testament understanding of land—that land ultimately belonged to God who gave it to the families. Naboth knew that selling the land wasn’t an option and that established laws kept the land in the families. Ahab should have been out caring for the nation; instead, he is pouting in his bedroom. Beware of the self-centeredness of Ahab. If God ever gives you influence, remember why you have it. It isn’t to satisfy your selfish desires. It isn’t to trample on others or glorify yourself. You have influence, so you can bless others. Jezebel tells her husband to act like a king. She then promises to show him how a real monarch gets what he or she wants. Jezebel now assumes Ahab’s role, his authority, and even his name. She concocts a plot against Naboth’s life. The people take the innocent man and stone him to death. Ahab does nothing to check his wife’s scheming or even to express disapproval of her deed. Once she hears Naboth is dead, Jezebel commands Ahab himself to take possession of the murdered man’s land. He dutifully follows her orders, having seen how to be the kind of king Jezebel respects. Ahab and his queen have added murder, stealing, false witness, coveting, and oppression to their already serious religious sins. Naboth could have been richer. He could have perhaps negotiated a bit more and worked his way up the royal ladder. But Naboth lived by the word of God. This is the only time we hear him speak. 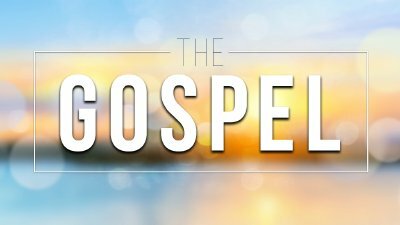 He simply says, “The LORD forbid that I should give you the inheritance of my fathers.” We see in Naboth an example of a person being persecuted for righteousness’ sake. In Ahab and Jezebel, we see the nature and destiny of those who inflict such injustice on them. We must be willing to suffer for the sake of righteousness. Will you lose financial opportunities for God’s Word? Will you die to follow God’s Word? II. God denounces selfishness (payday someday); 21:17-29. Ahab is enjoying the herbs from his vegetable garden, and Jezebel is probably planning her next scheme. But then someone appears. Elijah is back! Ahab now calls him his “enemy” and demonstrates his self-centeredness. Elijah responds much as he did in the earlier encounter, claiming that he has only pursued Ahab because of the king’s evil deed. God instructs the prophet to expose Ahab’s sins of murder and stealing and announce to the king that dogs will lick up his blood where dogs had drunk Naboth’s blood. His wife will die for her sins. In fact, dogs will eat her, which was a fate worse than Ahab’s, for it implied denial of a decent burial. Quite unexpectedly, Ahab humbles himself, which is his most positive act in the book.  God forgives him and postpones the judgment on his family, which demonstrates the Lord’s grace and mercy. It has always been the Lord’s desire to turn Ahab’s heart. Why did God wait so long? God pronounced judgment, but what of Naboth? The mystery of God’s timing in judgment appears throughout scripture. Judgment may be delayed, but it is never cancelled. How can we escape God’s just judgment? We need a substitute. That’s what we have in Jesus. God provided the righteousness we need in Him. Judgment will fall. Either Jesus takes your judgment, or you will face it. We cannot hide from God. He knows our sins—in thought, word, motive, and deed. We have one solution: in Christ we are safe. In Christ we’re righteous. In Christ we’re loved. In Christ we don’t have to fear impending judgment. In Christ we have power to stand up for the oppressed, and we look forward to our future reward in His kingdom. Jesus’ enemies conspired against Him too. They falsely accused Him of blasphemy, mocked and beat Him, and eventually took Him outside the city to kill Him (Heb 13:10-13). Jesus' blood speaks a better word than the blood of Abel and the blood of Naboth (Heb 12:24), for their blood cries out for vengeance, but Jesus' blood cries out with forgiveness to everyone.